CULLMAN, ALABAMA --TSE Brakes, Inc. is introducing VCT™ (Variable Clocking Technology) that features easier installation, better chamber sealing and fewer necessary model numbers. You can either get a complete unit or a piggyback repair kit for easy repairs. This technology is patented (U.S. Patent No. 9,050,958). "Now you can freely spin the ports during installation and then secure with one bolt. 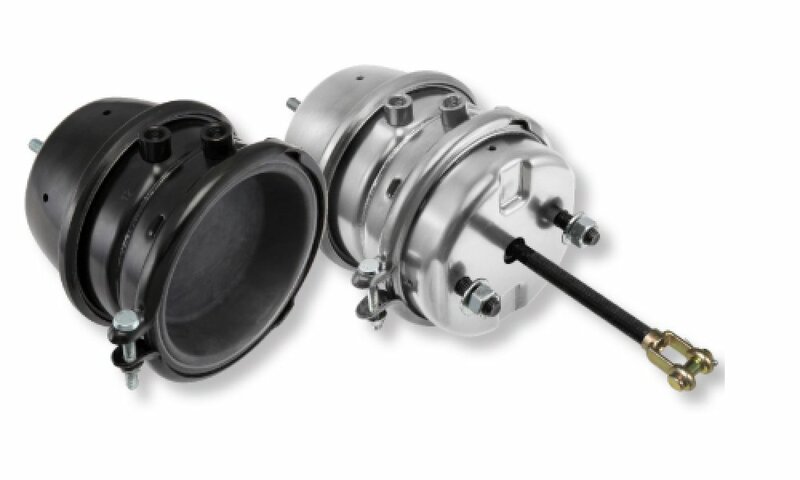 Not only will the feature save time in installation, but it allows our customers to stock fewer models because the port locations are now variable instead of left hand or right hand," remarked Jean Gregoire, TSE Brakes Director, North American Aftermarket Sales & Marketing. Also, our customers told us that at times air brake actuators are less efficient because they are not always properly sealed by the installer. 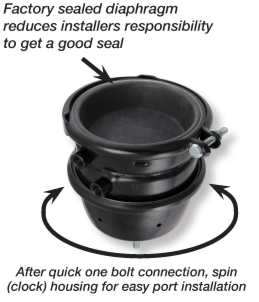 The beauty of the innovated VCT design is that we factory seal the diaphragm, so the installer is no longer responsible to get the best possible seal," Jean Gregoire continued. Now six model numbers can handle virtually every TSE Brakes actuator application. Benefits include up to 75% less installation time, less inventory, less shared leak responsibility, and less chance to install incorrectly. The piggyback kit comes in four pieces vs competitors eight to make installation even easier. VCT models are available on UltraLife and OmniBrake air brake actuator models.